In the spotlight, we have turmeric! This year we have under the spotlight a sunshine golden-colored spice called turmeric and to be honest; we can’t get enough of this stuff. Turmeric is going to be everywhere, and at Burma Spice, we want to give you the zestiest dishes using our ground turmeric. So, dear turmeric, please come up on the stage! But first things first. What is turmeric and how can I use it? Turmeric is a spice known for its root origin, the ginger family. In the last few years, turmeric or curcumin – both names are valid – has enjoyed tremendous popularity around the globe and has become part of the most American kitchens; because technically it is possible to add turmeric to everything. Perhaps you are in this moment wondering the reason well… let us get deeper, and a little bit crazy, with this spice. It’s clear now that turmeric is a spice and you probably already know that is commonly used in curry, but have you tasted it? If you haven’t well let us describe the flavor. Curcumin has a warm, bitter taste and it is popular in Indian and Asian cuisine as a coloring agent but be aware that it can stain your hands and clothes with its strong color (It is ok, turmeric, we still love you). However, turmeric hasn’t become that popular only because of its flavor, also for its health properties. If you are interested in learning more about the health benefits and uses of this spice, we invite you to read about this topic on the Congnitune blog. Find the article here. So, if I say turmeric, you shout curry – turmeric, -cuurryy !! There are a vast variety of recipes that you can add to your list this year to challenge your cooking skills, and many uses for turmeric. Great for stews, spice blends, and most commonly used in curries, this special spice has properties that will exceed your expectations. But hey! Do not forget to update your spice rack and get your hands on Burma Spice gourmet ground turmeric, because this spice is going to be in the spotlight of these recipes. Need a great place to start? We’ve just added tons of South Asian cuisine recipes that include turmeric. But let’s start with these yummy recipes. Summer is coming, so why don’t we grab a drink? A shrub is a fruit-infused vinegar to which you can add sparkling water or alcohol. The golden root cocktail: Find the recipe for this cocktail here. The color and flavor of turmeric add character to cocktails, so for this summer say “yes” to cocktails and friends. Turmeric shrub: At Burma Spice we love shrubs; basically a shrub is a fruit-infused vinegar to which you can add sparkling water or alcohol. This soft drink was really popular during America’s colonial era, but in the last few years, has regained its popularity. Click here to discover this new recipe. Turmeric and ginger cocktail: Why we don’t get turmeric family together? 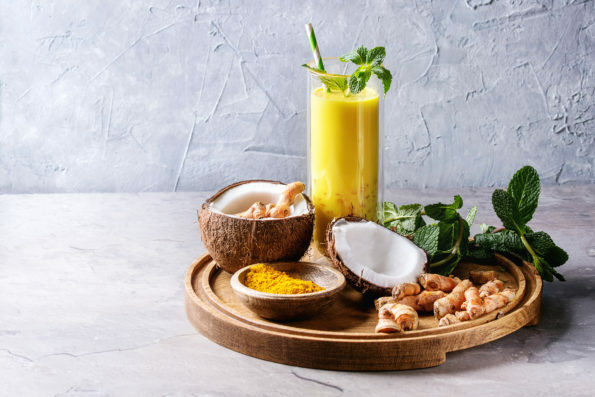 As you have probably found in Cognitune blog, turmeric and ginger have a tremendous amount of health benefits; for example their anti-inflammatory and immune system support properties. So yes, it is possible to have a pinch of happiness and health in one little glass. But not everything is about drinking. We have these recipes that you will love to have in your meals. Burma Spice Middle Eastern cuisine section includes a Moroccan recipe for spiced chicken with fennel and potatoes. 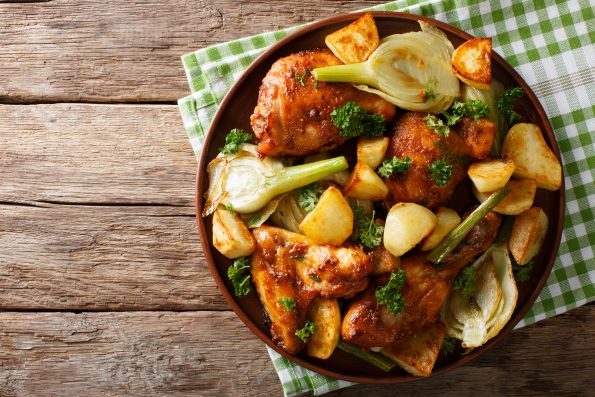 Spiced chicken with potatoes and fennel: If you are going to prepare veggie couscous, well this dish pairs perfectly! Our spiced chicken recipe incorporates young fennel bulbs that add a fresh counterpart to the savory and slightly sweet chicken. Find the recipe here. Niter Kibbeh (Ethiopian spiced butter): Niter kibbeh is a spiced butter used so often in Ethiopian recipes, it’s a staple in households and restaurants. Give a try to this recipe here. Pakistani biryani rice: Pakistani biryani rice is a very aromatic, flavorful Pakistani side dish that normally accompanies roasted meats like chicken or lamb. In this recipe, you will find that turmeric adds a beautiful color to the rice.